We compared inter-species sensitivity to a model narcotic compound, 2-Methylnaphthalene, to test if taxonomical relatedness, feeding guilds, and trophic level govern species sensitivities on species distributed in different regions. We fitted a toxicokinetic-toxicodynamic model to survival patterns over time for 26 species using new and raw data from the literature. Species sensitivity distributions provided little insight into understanding patterns in inter-species sensitivity. The range of no-effect concentrations (NEC) obtained for 26 species showed little variation (mean 0.0081 mM; SD 0.009). Results suggest that the NEC alone does not explain the complexity of the species tolerances. 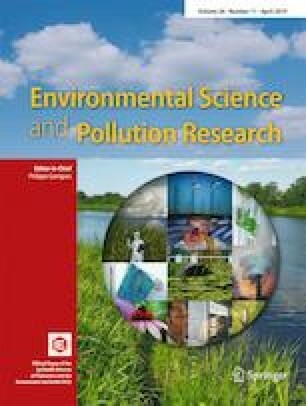 The dominant rate constant and the derived time to observe an effect (t0), a function of concentration, might provide the means for depicting patterns in sensitivity and better ecotoxicological testing. When comparing the t0 functions, we observed that Arctic species have shorter time frames to start showing effects. Mollusks and second trophic level species took longer to build up a lethal body burden than the rest. Coupling our results with fate and transport models would allow forecasting narcotic compounds toxicity in time and thus improve risk assessment. The online version of this article ( https://doi.org/10.1007/s11356-019-04423-8) contains supplementary material, which is available to authorized users. We wish to thank Gisele C. Morais for her valuable help during the sampling and conduction of the experiments of subtropical species. We also thank Thayanne Lima for helping during the sampling of subtropical species, and Carl Ballantine for providing raw data sets for estimating weights and lengths of Arctic species. Finally, we would like to thank the anonymous reviewers for their comments, which helped to improve the quality of our manuscript. The Norwegian Research Council funded this study through the “Latin Amerika” research program attributed to Akvaplan-niva AS under the Project number 227180/H30.